Removing content from a search result is a not a big deal, There is a tool called “URL Removal Tool” available for it. But removing 1000+ page is a big deal because bulk remove URLs from google console feature is not available. URL removal tool is not only used to remove URL, it is a versatile tool to fix Duplicate content, HTML improvements etc. Recently, I’m a working on my client site and I found he has 1000+ Crawler and some other error in his google console. To fix these huge number of the error, you need patience and time. So, I did some search on Github for help and by luck, I found a bulk URL removal chrome extension. 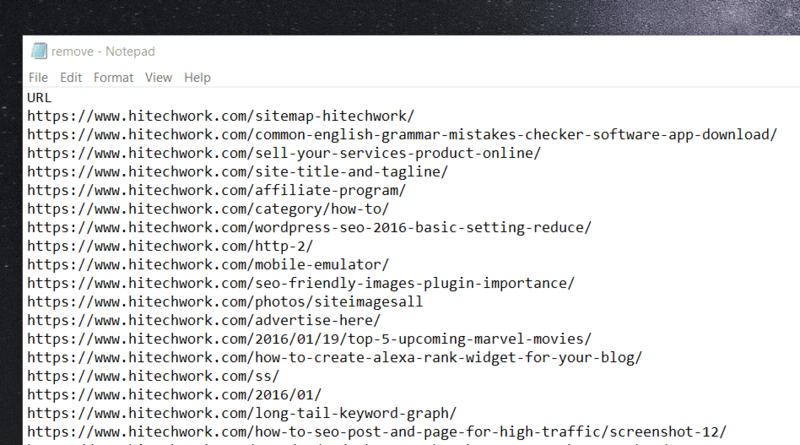 In this article, I will tell you, how you can bulk remove URLs from google console by using bulk URL removal chrome extension. Well, Bulk URL Removal Chrome Extension is not available in the chrome extension library so you have to download it from the Github. Download the zip file on your local computer and unzip it. Now, you have to upload the extension to the browser manually. 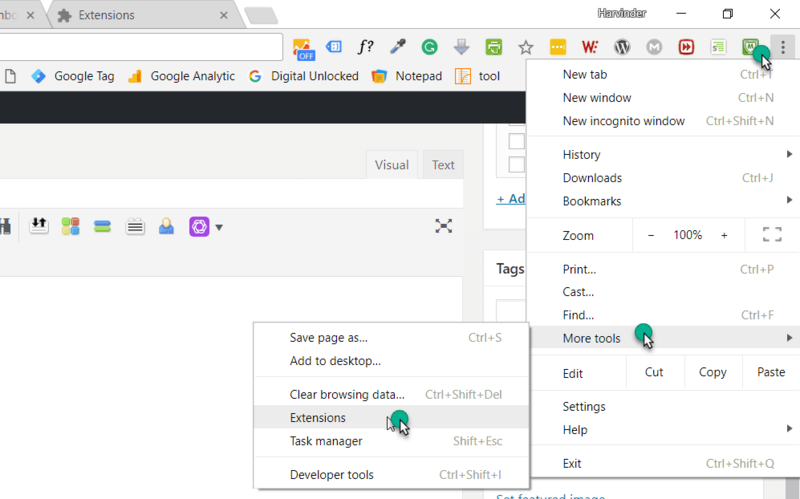 Open the chrome extension dashboard by clicking on More_tools>>Extenssion. On the Top, you will see Enable Developer mode Option, click on Enable it. After that, you will see “Load unpacked extension” option. Now, upload the unzipped file that you downloaded from the GitHub, here. Note: By default this extension is disabled, click on Enable to activate it. Now, its time to check is it working or not? Open your Google URL removal tool, and you will see a new option, Near the Temporarily Hide Option. That’s the feature that we want in the webmaster tool. Here you can upload the Text file contain all the URL that you want to remove from the search result. To bulk remove URLs from Google console, you first need to create a list of the URL that you want to remove from the google console. 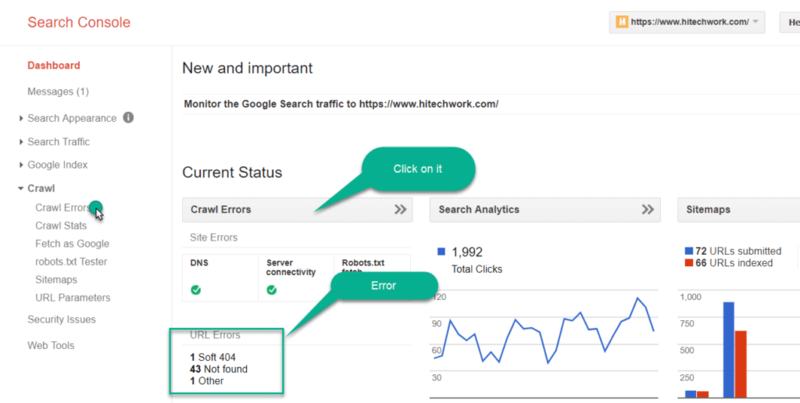 To collect the URLs open your search console and click on Crawl Error. Here you will see the overall report. Right now I have 43 error, to download it. Click on Crawl>>Crawl_Error and then click on Download. And Save the CSV file. Notte: You can download the file in any format, but I recommended to go with CVS. Now, open CSV file and copy all the URL. Paste it into the Text file (Note file). Note: Make sure you do not have a space between two URL. Here, First, you have to select the command that you want to apply and after that Upload the Text file. 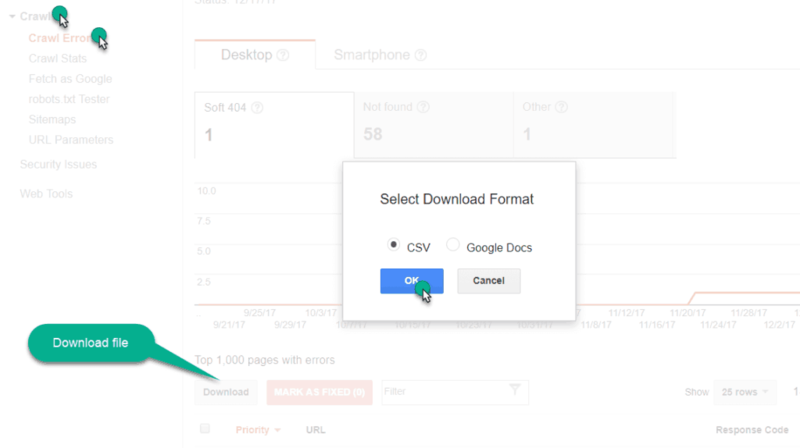 As you upload the file, the automatic URL removal submission process starts to submit the URL to the google search console. Note: This process does not stop until all the URL in the TEXT file is not completed. So, this is the process to bulk remove URLs from google console. Google doesn’t technically allow you to bulk remove URLs from Google console because that’s not what this tool is intended for. Have a look, what Matt Cutt say about URL removal tool. You can block page with a robots.txt file or add robots meta tag in the header of the website and google automatically remove these page. Note: Removal tool works in roughly 24 hours whereas adding a robots.txt or no-index meta tag would take weeks for Google to re-index and get removed. Also Support Us By Liking Our Facebook, Twitter, and Google+ Page. If you have any suggestion or problem about “bulk remove URLs from google console,” then please feel free to comment below. Thank you! This saves me a lot of time!